Taylor P. Kohn, a University Scholar at Baylor on a pre-medical track, has been selected as one of only 282 U.S. undergraduates to receive the Barry M. Goldwater Scholarship. WACO, Texas (May 4, 2012) - Baylor University senior Taylor P. Kohn, a University Scholar on a pre-medical track from Wichita, Kan., has been selected as one of only 282 U.S. undergraduates to receive the Barry M. Goldwater Scholarship, the premier undergraduate award in the United States and its territories in the fields of mathematics, the natural sciences and engineering. Kohn was selected on the basis of academic merit from a field of more than 1,100 math, science and engineering students who were nominated by the faculties of colleges and universities nationwide. The one- and two-year scholarships will cover the cost of tuition, fees, books, and room and board up to a maximum of $7,500 per year during the 2012-2013 academic year. Kohn will use his Goldwater Scholarship to study and research at Washington University in St. Louis. Kohn learned of the Goldwater honor while in the middle of a biochemistry class. He confirmed it by quickly scanning the Goldwater website on his phone. "Right after class I called my parents and told several of my friends. I was really excited and it was a real joy for me to go and let my various professors know that I had won it," Kohn said. Kohn initially heard about the Goldwater Scholarship from Elizabeth Vardaman, associate dean for special programs in Baylor's College of Arts and Sciences, who also leads the university's Office of National and International Scholarships. 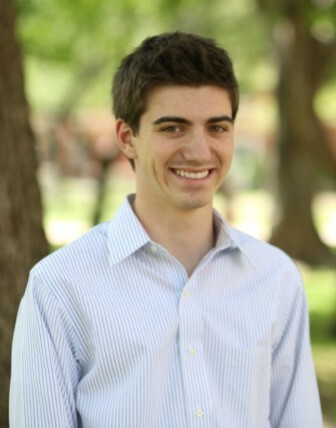 Since he already had a significant amount of research experience as an undergraduate at Baylor, the Goldwater - one of the few scholarship competitions in the STEM (science, technology, math and engineering) fields that occur during the undergraduate program - was the perfect scholarship for him. Nearly all of the Goldwater recipients intend to obtain a Ph.D. as their degree objective, as does Kohn, who plans on pursuing an MD/Ph.D., although he is still deciding the specific field. He currently researches neurodegenerative diseases and is considering a Ph.D. in biochemistry and becoming a neurologist, researching, seeing patients and teaching at a medical school. "I think I will become very specialized and see only patients with a single disease and research that disease. This type of system really allows the research and patient care to work in synergy," Kohn said. Jeffrey S. Olafsen, associate professor of physics and Baylor's Goldwater representative, said the Goldwater selection process is highly competitive and students who apply from Baylor compete with students from Stanford, MIT and Cornell, just to name a few. Olafsen said that Kohn - "an extremely bright and self-motivated student" - has made the most of his opportunities at Baylor, particularly through his participation in undergraduate research. "Because the award is part of a national competition, it speaks to the value of Taylor's Baylor education and the opportunities available to all Baylor students to participate in journal-publishable research, mentored by exceptional faculty, while pursuing an undergraduate degree," Olafsen said. "His selection reflects the ongoing strength of Baylor's competitiveness in the sciences on a national level in the 21st century." As an undergraduate at Baylor, Kohn praised several of his professors, including his mentor, William Hillis, Ph.D., The Cornelia Marschall Smith Distinguished Professor of Biology. "Dr. William Hillis has been a huge influence as a mentor," Kohn said. "He took me on as a freshman and really put a lot of faith in me and encouraged me to push the limits. I would not be able to seriously compete in competitions such as the Goldwater unless he had really encouraged me and pushed me to find my capabilities." Hillis said Taylor is a "spectacular student," who was an experienced researcher as a freshman when he started working in Hillis's lab. "As far as I know, he's the only University Scholar in Baylor's history to have completed his work for the thesis and his highly successful defense of the thesis as a freshman. That in itself is a remarkable achievement, but with each course he had in biology with me, he has continued to set the pace for the other students," Hillis said. "He is one of the most responsive students I have ever had, always hungry to learn something new. He is a remarkable young man, who is destined to go far in medicine," Hillis added. "The Goldwater will permit him to do some high-powered research with an established investigator at Washington University in St. Louis, and we have every reason to hold great expectations of his performance there. I look forward to having him back with me after his Washington University experience to clarify the molecular mechanism by which his research findings in his honors thesis occur." Kohn said he was initially drawn to Baylor for his undergraduate study by the Baylor Sciences Building, the 508,000-square-foot science teaching and research facility that opened in 2004. "It was unlike anything that I had seen on my college visits and it really awed me," Kohn said. The Baylor Sciences Building houses the science disciplines of chemistry and biochemistry, biology, geology, environmental science, physics and psychology and neuroscience, as well as most of Baylor's prehealth programs. It also includes five multidisciplinary research centers on Prehealth Education, Drug Discovery, Molecular Biosciences, Reservoir and Aquatic Systems Research, and Scientific Analysis and Computing. "I also was struck by how nice the faculty and staff were," Kohn said. "I felt very honored that they would talk to me, even though I was just a high school student visiting." The University Scholars program in Baylor's Honors College also appealed to Kohn. "I was very excited to combine science with the humanities," he said. Kohn also thanked Bryan Shaw, Ph.D., assistant professor of chemistry, and David Pennington, Ph.D., professor of chemistry and Master Teacher, for their mentorship, as well as Rich Sanker, Ph.D., director of the Office of Prehealth Studies at Baylor, and Vardaman for their additional support. The Barry M. Goldwater Scholarship and Excellence in Education Program was established by Congress in 1986 to honor U.S. Sen. Barry M. Goldwater, who served his country for 56 years as a soldier and statesman, including 30 years of service in the U.S. Senate. Goldwater Scholars have very impressive academic qualifications that have garnered the attention of prestigious post-graduate fellowship programs. Recent Goldwater Scholars have been awarded 78 Rhodes Scholarships, 112 Marshall Awards, 104 Churchill Scholarships and numerous other distinguished fellowships. "The Goldwater selection reflects an external, nationwide assessment that Taylor has a very promising future ahead of him, of which his Goldwater scholarship will be one of many accomplishments," Olafsen said. "In short, Taylor's selection as a Goldwater Scholar adds to the list of why this has been a very good year for Baylor University."